There’s something about desert living that’s just so appealing. Warm, dry weather, an assortment of low maintenance plants, expansive landscapes, and rich colors. To help create those desert vibes no matter where you live, we’ve gathered a list of a few ways to include desert-inspired decor both in your home and in your yard. 1. These cactus lamps are a great way to light up your yard and are a low maintenance way to include cacti in your exteriors. 2. 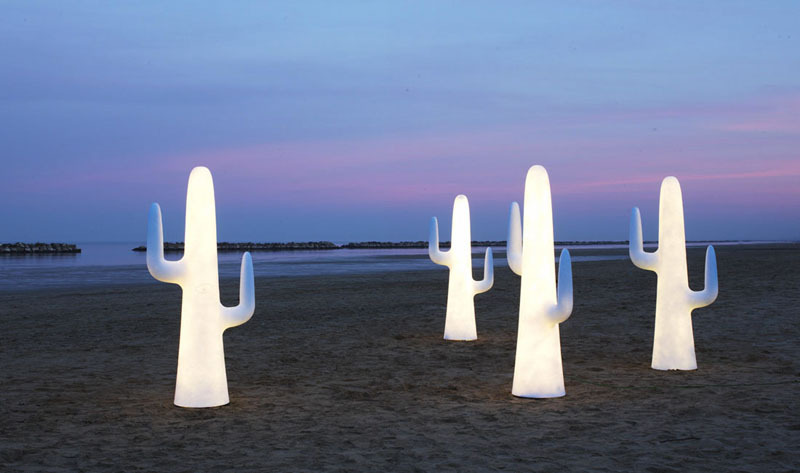 The shape of this white cactus lamp has been inspired by the Nopal Cactus. When the lamp lights up it has a golden glow. 3. 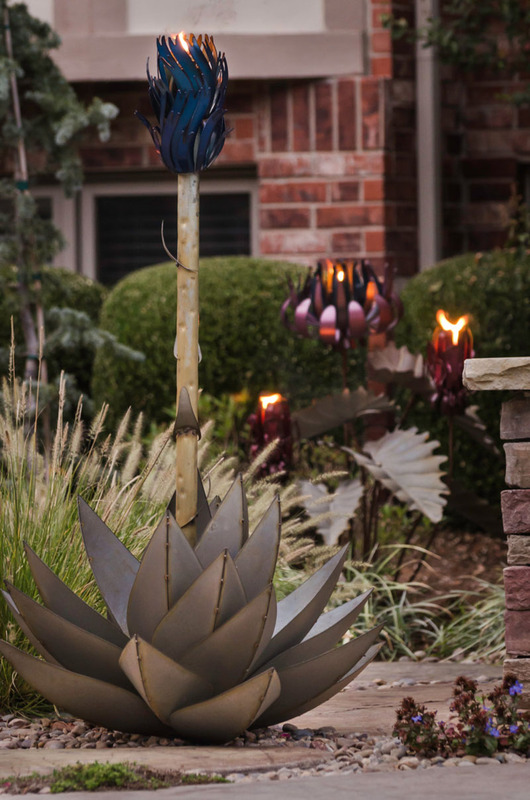 Bring light and style into your backyard with these blue agave torches which are made from steel. 4. 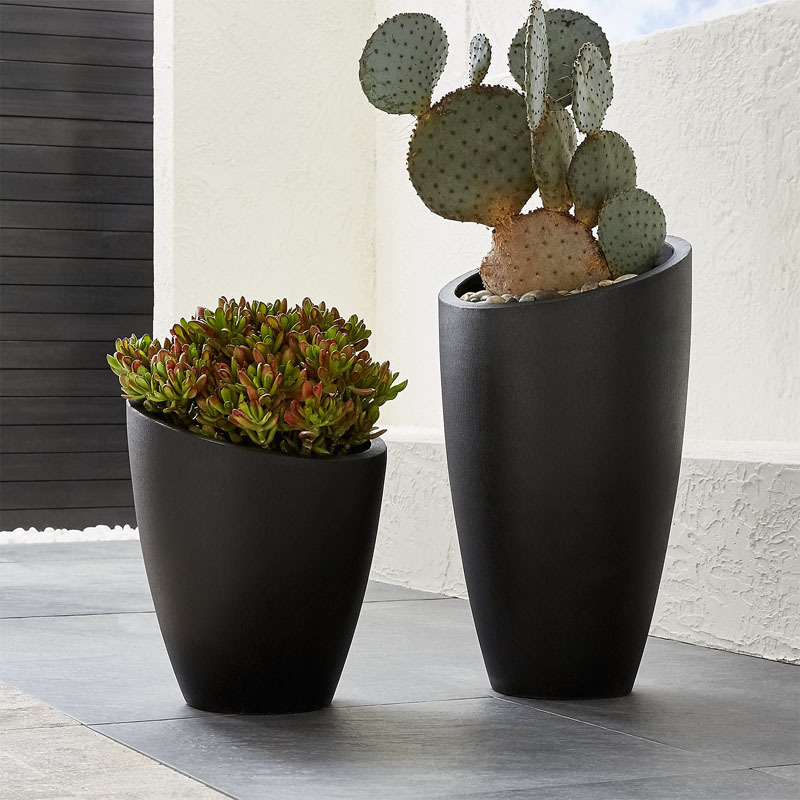 If you have any cacti, make sure they’re in stylish and sturdy planters. 5. 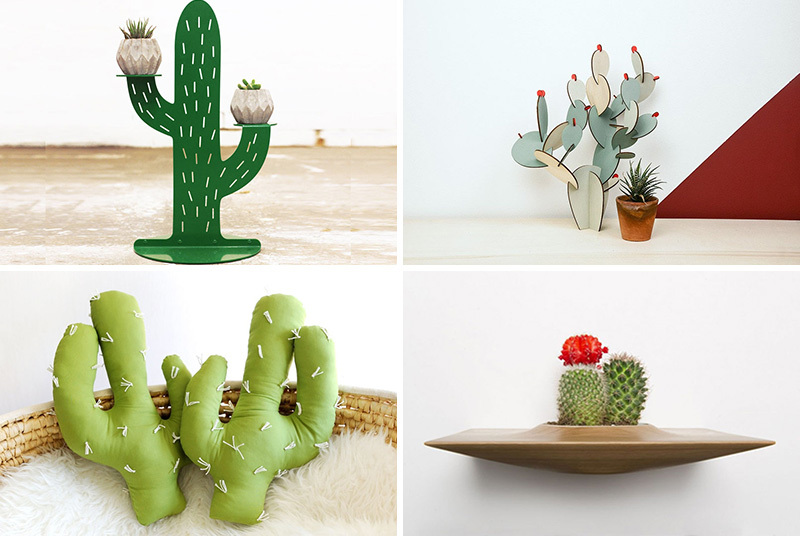 This green metal cacti plant stand might not need watering but the plants they’re holding will! 6. 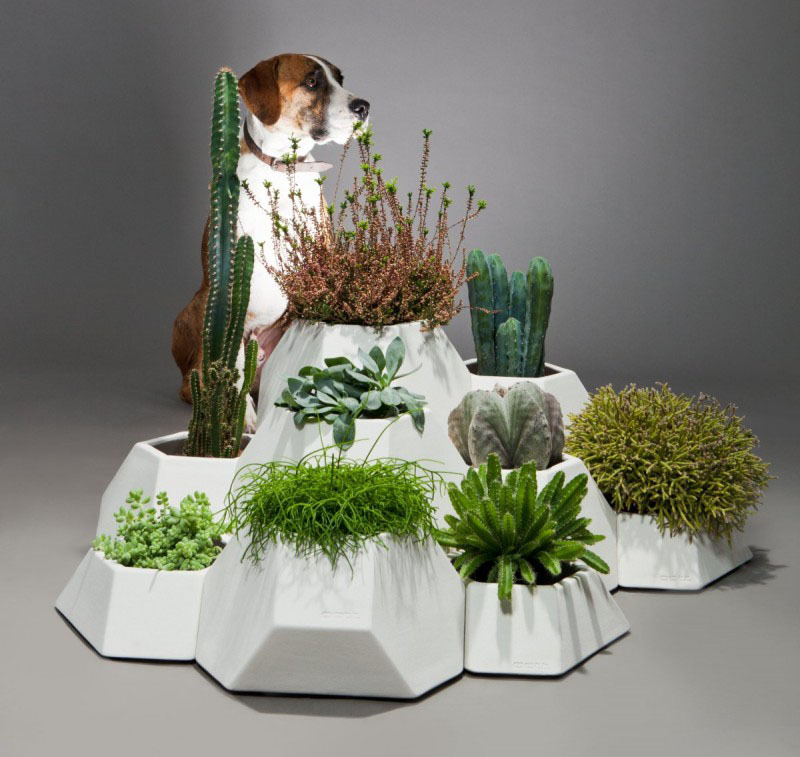 These modular ceramic planters let you customize your own desert garden and have been designed so that the white exterior holds and lets out excess water, so you don’t have to worry as much about over watering. 7. 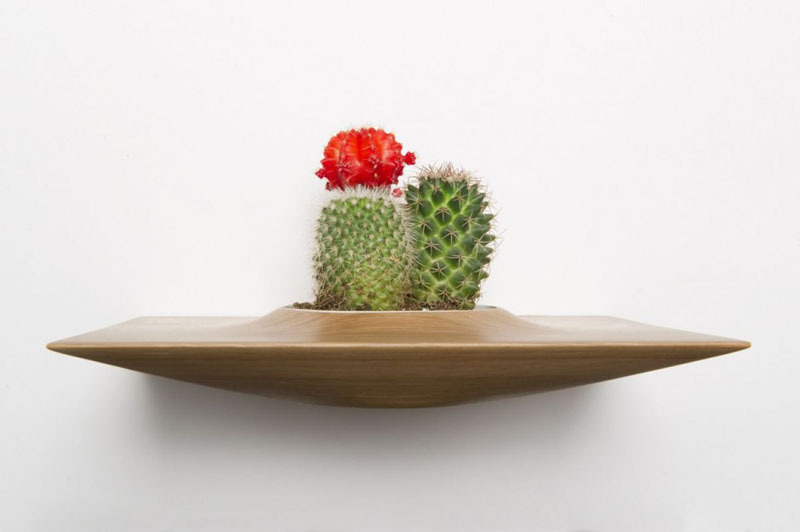 These wood wall mounted planters are another great way to bring desert plants into your home and add a touch of fun, and modern decor to your walls. Plant Pods by Domenic Fiorello. Photography by Elizabeth Lamark. 8. 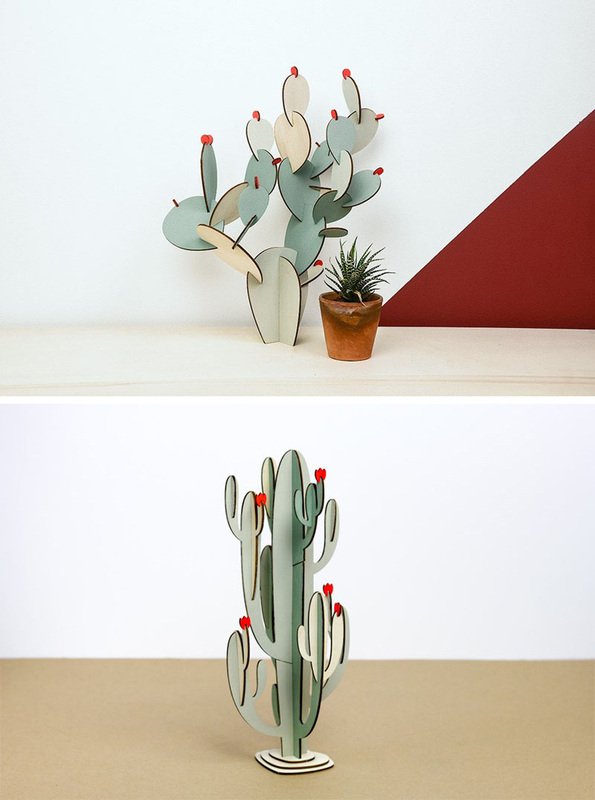 These wood cacti can be left with their natural wood finish or can be painted to create a more authentic looking house plant. 9. 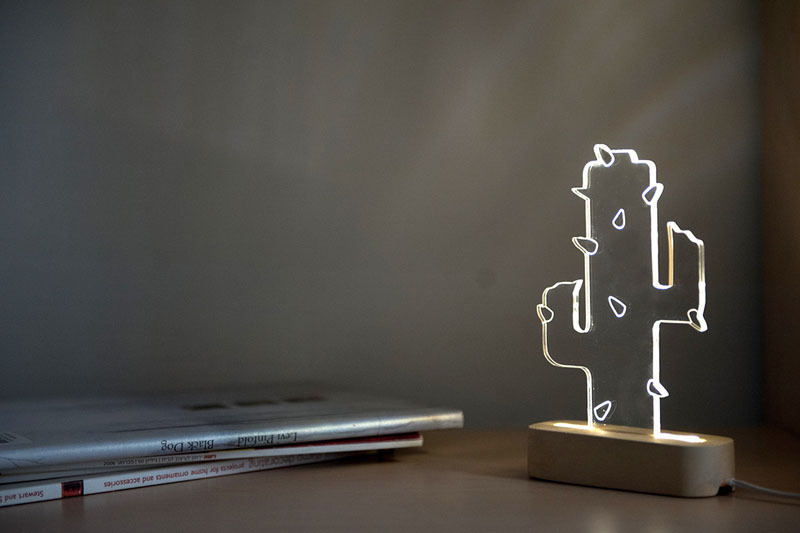 This small concrete and acrylic cactus lamp is a low maintenance alternative to a real plant and has the added benefit of providing a unique light source. 10. 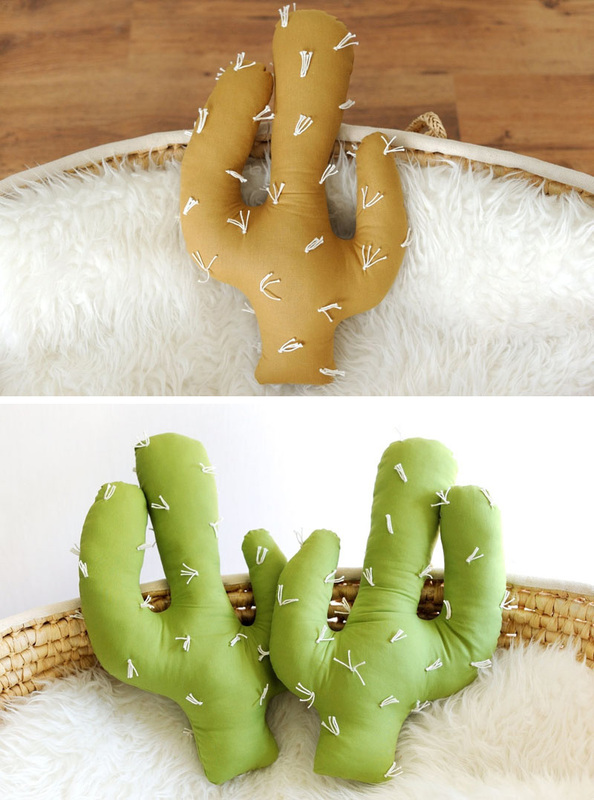 While cacti wouldn’t normally be a source of softness, these cactus pillows will make your interior more inviting with their warm colors and cozy material. 11. 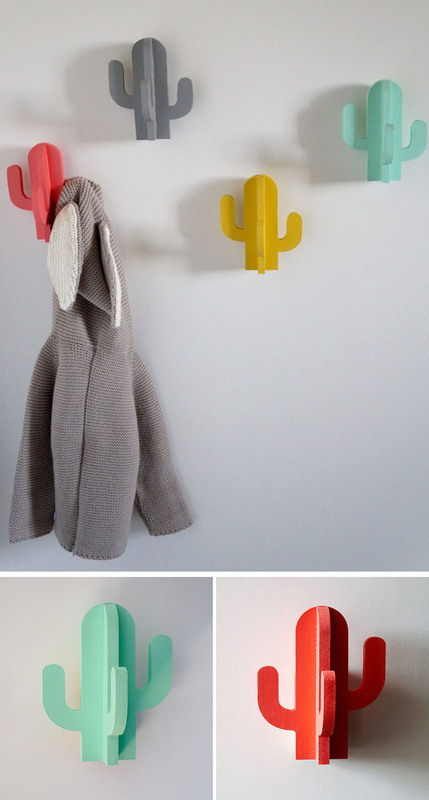 These brightly colored cacti wall hooks bring in a whimsical element to your interior and help add functionality to your walls. 12. 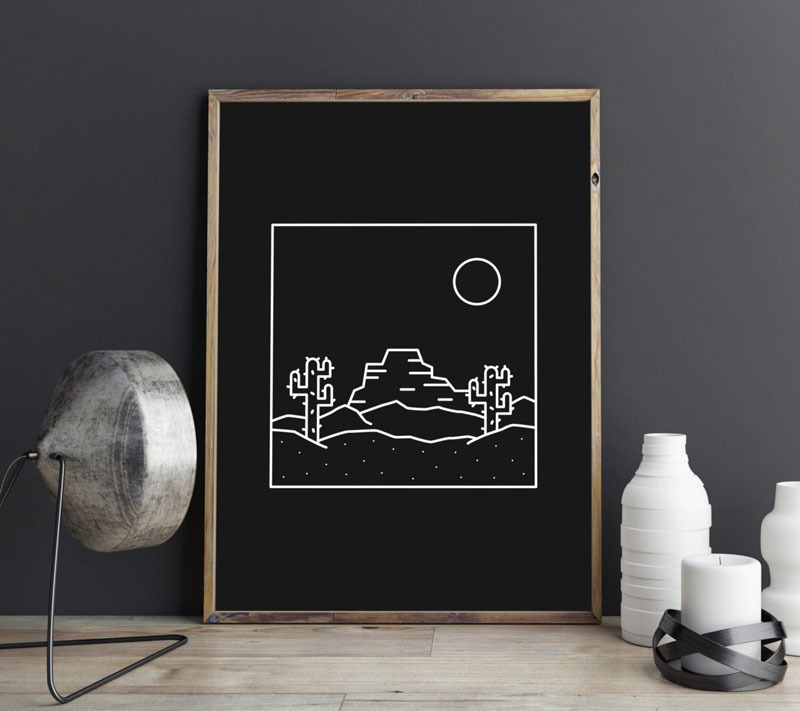 This simple desert print features the main elements found in the desert and is perfect for minimalist interiors. 13. 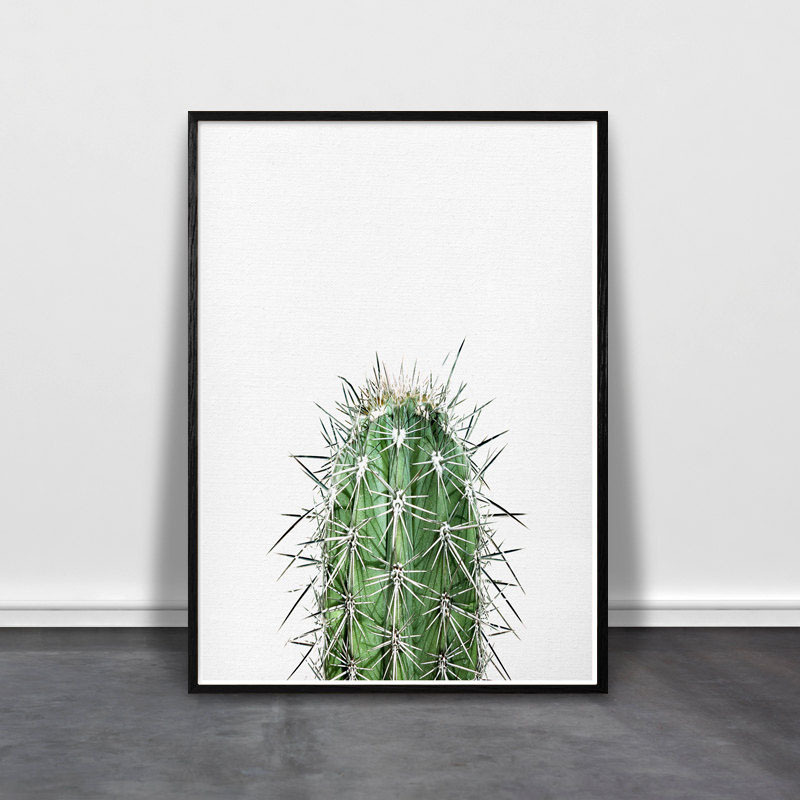 Cactus prints are an easy way to add plants to your interior without having to worry about keeping them alive. 14. These cacti wall decals bring fun to your interior and are an easy way to decorate your walls without leaving marks or holes. 15. 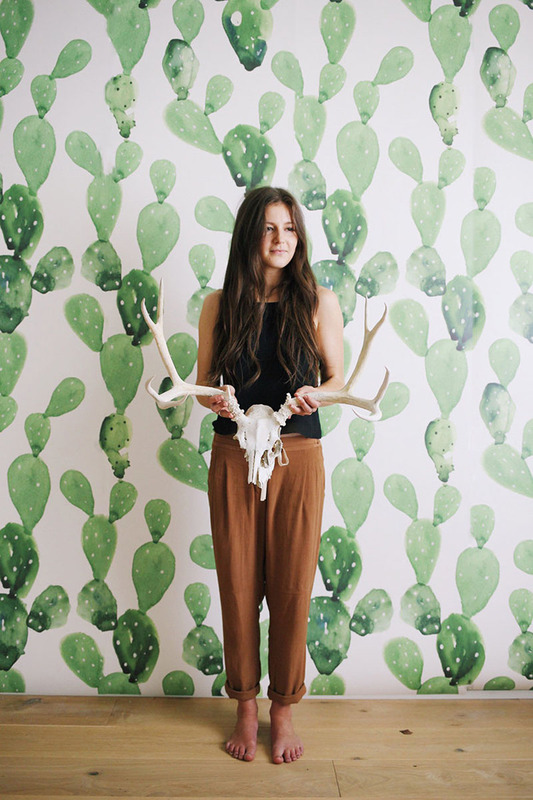 For a more artistic take on the desert trend, this watercolor cactus wallpaper is a fun way to spice up your walls and incorporate your favorite desert plant.